The seventh annual Downtown Food & Wine Fest will take place at Lake Eola in downtown Orlando the weekend of February 21-22. The two-day fest features features mouth-watering dishes from 30 of Orlando’s premier restaurants, and 50 domestic and international wines to enjoy. Food and beverage tickets are available for $2 each, with offerings ranging from 1 to 4 tickets. There will also be live entertainment from alt-rock band Lifehouse on Saturday night, and classic rock band Loverboy on Sunday night. This is included with admission to the event. 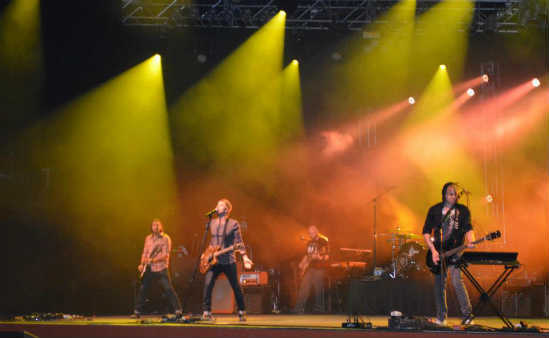 The rock band Lifehouse kicked off the 2013 edition of Universal Orlando’s annual Mardi Gras on February 9. The evening started with the Mardi Gras parade, which featured a float for the Chinese New Year. 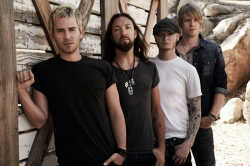 Rock group Lifehouse will be the first band to play the 2013 edition of Universal Orlando’s annual Mardi Gras celebration, on February 9, 2013. Lifehouse has had many chart hits, including “Hanging By a Moment,” “You and Me,” and “Halfway Gone.” In December, 2012, the band released their newest album, Almeria. The first single, “Between the Raindrops,” features Natasha Bedingfield, and the whole album is just as good. The concert, along with the Mardi Gras parade, are included with regular admission to Universal Studios, including annual passes. There is also a specially discounted “after 5pm” ticket available that will let you in for the Mardi Gras festivities.